Neill's Celebration of the Rose exhibition at The Flower Lounge was a triumph bringing crowds from Chelsea to Belgravia to admire his bountiful blooms. Roses of all sorts, sizes and ages, more than 60 varieties were displayed in the boutique but it was the store-front installation with more than 3,000 Meijer Roses in a contemporary, geometric design that confirms Neill's panache for the dramatic and theatrical. 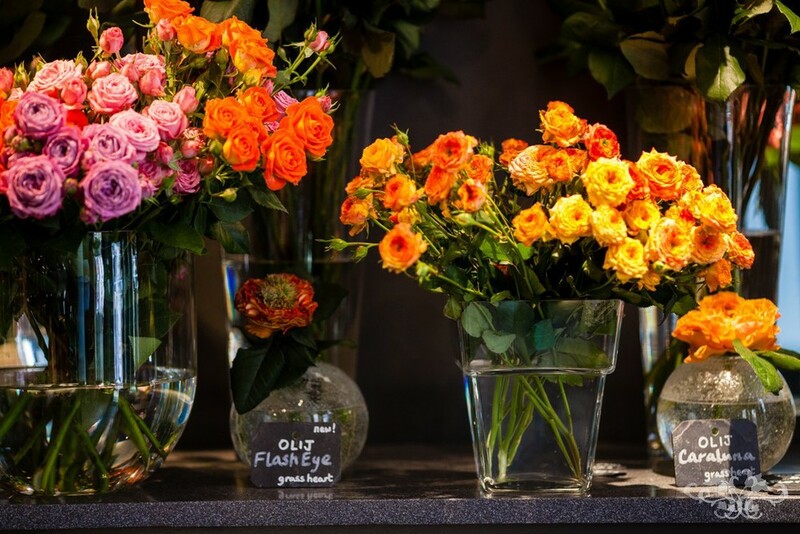 Hosting a flower festival at The Flower Lounge for the Chelsea Flower Show is now a tradition at Neill Strain Floral Couture. Each year, we like to focus on one flower, not just to show off the extraordinary beauty of our blooms, but to give a touch of history and education to our clients so they better understand the flowers and floral designs we create for them. This year we celebrated the Rose and wow! I am amazed myself at the number and variety of extraordinary Roses we put together for our exhibition. Our vast selection included Dutch, French and English Roses. From the Historische Tuin Museum in Aalsmeer we selected a dozen varieties of intensely scented old Roses dating back to the 1800s. Some of these historical varieties parented the new breeds of Roses we know and love today. 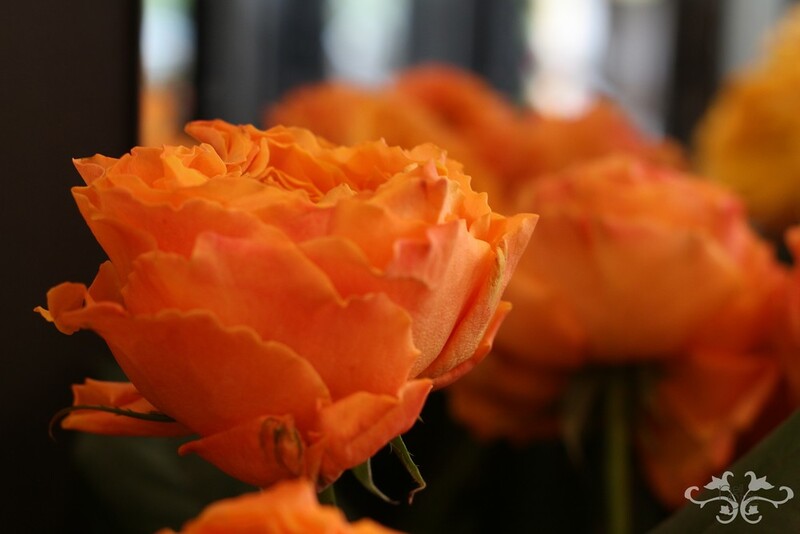 Among them were Bourbon Rose - a breed that originated in 1817 - "Souvenir de la Malmaison" from 1843; Floribunda (garden spray) Roses "Permanent Wave" and the famous "Else Poulsen" of 1924; Tea Roses such as the voluptuous "Ophelia" and "Golden Ophelia" of 1912/1918, "Kaiserin Auguste Victoria" of 1891, "Better Times" of 1935... These and many more glorious Roses can be seen at the Tuin Museum. For more details, visit www.htaalsmeer.org. To show the latest, new varieties from the Dutch breeders, we presented a collection of "Grass Heart" Roses from Olij, including the green "Grasshopper." 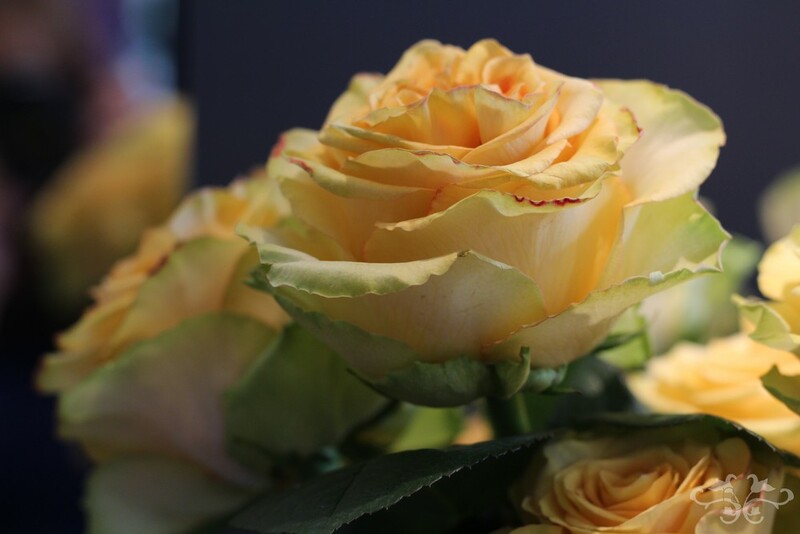 While these Roses look quite unusual due to their green centres, they marry well with more traditional varieties in our luxury hand-tied Haute Couture Bouquets. 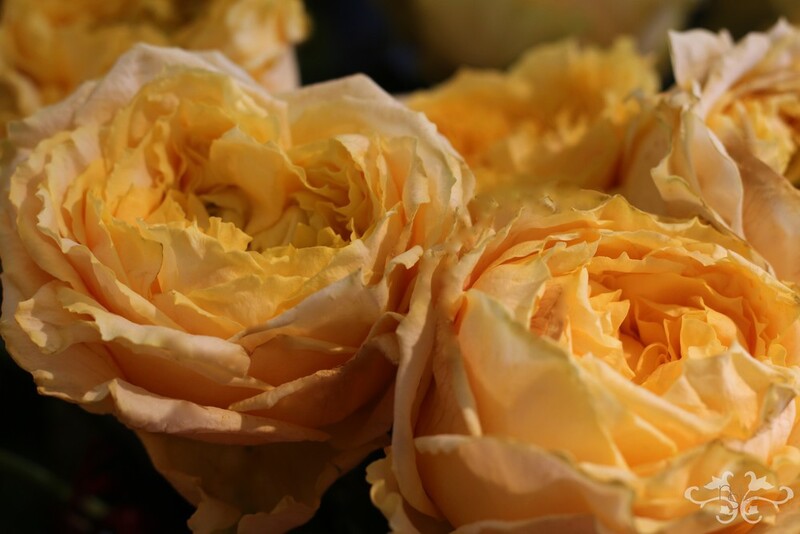 From Olij along with breeders De Ruiter and Kordes, I sourced many other amazing Roses, some of which have not yet been named and are labelled with just a number as they await a grower to take them on. Our exhibition was an exciting moment! Their first debut to the U.K. and to the public. 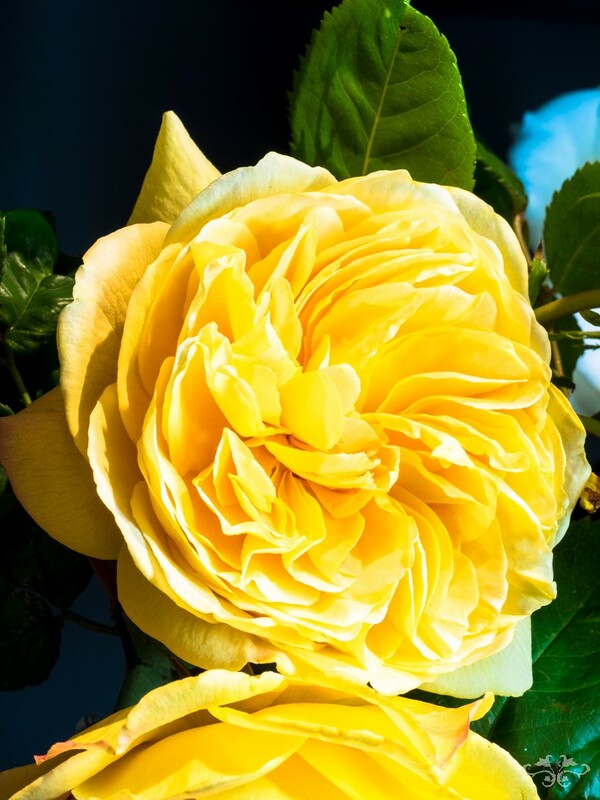 Divinely scented with notes of fruit, tea, myrrh, almond, honey, old rose and classic rose were some blissfully, blowsy blooms from David Austin's cut Rose selection: Tess, Patience, Kera, Charity,Beatrice, Edith, Darcey and Kate. 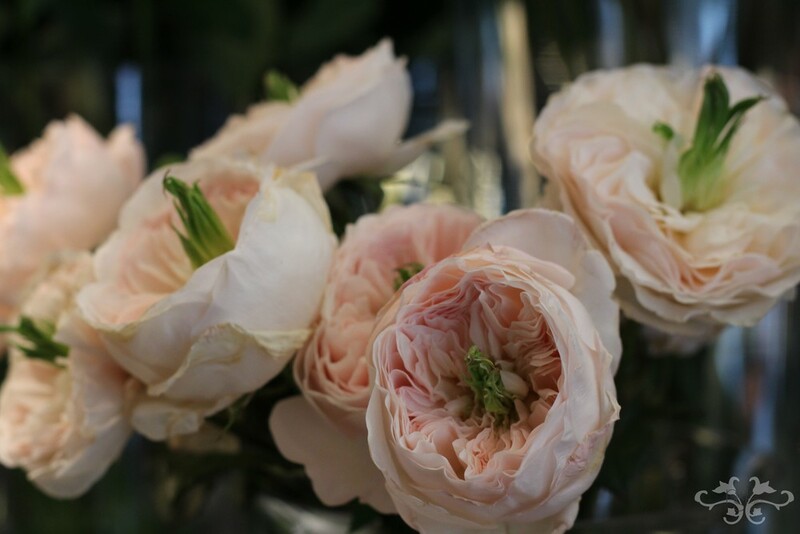 What presentation of Roses could be complete without including these extraordinarily romantic garden Roses. English-grown in Colchester, the fabulously fragrant Roses of Country Roses were brought in especially by Danae Brook whose Rose fields contain 10,000 bushes, 60 varieties, and is one of the scarce cut Rose producers to successfully grow outdoors with the British weather! Some of the favourites were the famous Extasy Rose which is renowned as the strongest scented Rose in Holland and opens from a small bud into an astonishing dish of delicate petals, the massive Romantic Antique Rose with its countless layers of salmon petals, Kordes' Frou Frou Rose with its pink and red petals, colours reminiscent of the old Rosamundi Rose and the scented Charming White and bright pink Heidi which the charming Joyce van Os brought from her Dutch Rose farm, John van Os Rozen. Other favourites came from Holland's leading Avalanche grower, the mighty Meijer. Tall, sturdy 1 meter stems of Avalanche, Sweet Avalanche and Pearl Avalanche with their XXXL head sizes. 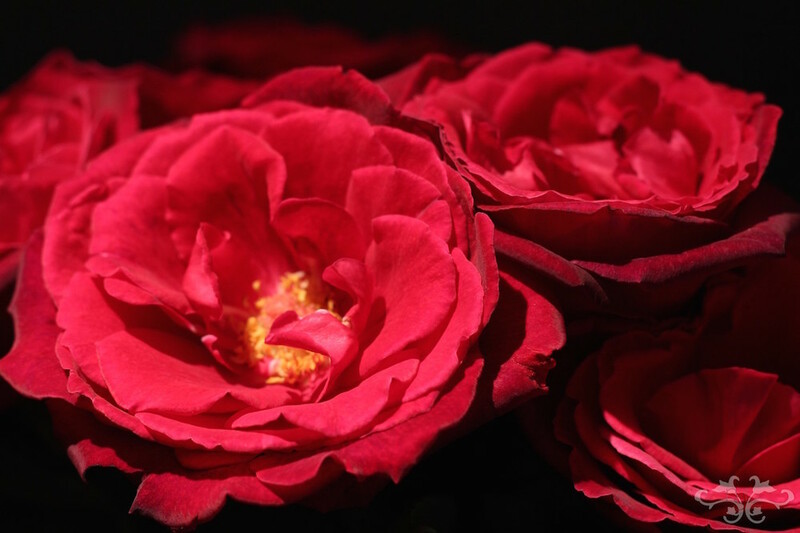 These Roses show how exceptional a cut Rose can be when given all the perfect conditions. These same Roses, from Meijer, were used to create the store-front display and next month I will blog about The Making Of this installation. I would like to make a special thank you to our Belgravia neighbours, Rococo Chocolates for their delicious Rose-flavoured chocolates; to Amouage who added their touch of French sophistication with three floral perfumes, Dia, Lyric and Honour, each with the fragrance of Rose varying from delicate to sublime; and to Pierre Herme for their delightful Jardins box of scrumptious Rose macarons. Well another Chelsea Flower Show has come to a close, summer is on its way and there are more and more exciting flowers arriving at The Flower Lounge that we're longing to show you. So do drop in. We can spoil you, not just with Roses but with dozens of other glories from our growers who are so passionate about producing the finest flowers in the world.